This unique piece of machinery otherwise known as the “miracle” peel, effectively works by resurfacing the skin through intense cellular renewal. The microdermabrasion machine treats scar tissue reduction, pigmentation, age spots, clogged pores, blemish or acne prone skin, acne scarring, frown and lip lines, crows feet, stretch marks, ingrown hairs, premature ageing and fine lines. Treatments are non invasive, safe and hygienic. For maximum results, we recommend a course of minimum 6 – 12 treatments, 2 weeks in between each treatment. Super smoothing treatment combines a standard cleansing, microdermabrasion on the face and neck followed with sunscreen application. This mini is perfect for the in between sessions, can also be added to any facial for fully loaded facial results. Effective resurfacing treatment beginning with an Enzyme powder that starts to break dead cell surface layers, working with the skin to reduce the appearance of “age spots” and sun damage, while also smoothing out the skin to diminish fine lines and wrinkles. Followed with a post treatment oxygen spray and a specific calming mineral mask to rebalance your skin. Ultimate deep cleansing treatment for blogged pores, congestion, acne scarring breakouts. 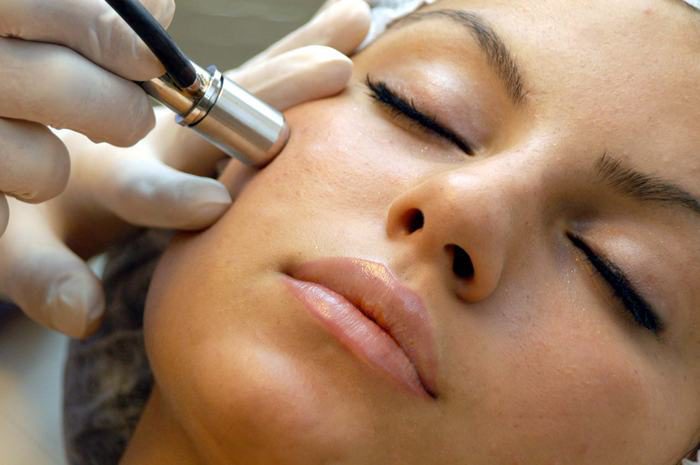 Combining microdermabrasion with a pore cleansing treatment to give your skin the deepest clean. Aims to keep breakouts away. Recommended for problem skin types and people who want to prevent further problems. Oxygen Therapy is the perfect rejuvenation treatment for ageing skin. As we age oxygen levels in the skin cells decrease, resulting in a loss of elasticity and the formation of lines and wrinkles. Oxygen Therapy replenishes lost oxygen & restructure the skin, visibly plumping out the lines and wrinkles. The results are immediate but an Oxygen facial continues to work long after the treatment, stimulating cell regeneration. With the use of Oxygen technology, this amazing treatment works by penetrating the deeper absorbtion of a various targeted serum into the skin, giving glowing results. Boost the growth of collagen in our skin cells, which help the skin bring back its natural hydrating-capability and elasticity, fill in fine lines and wrinkles, and minimize pore size.